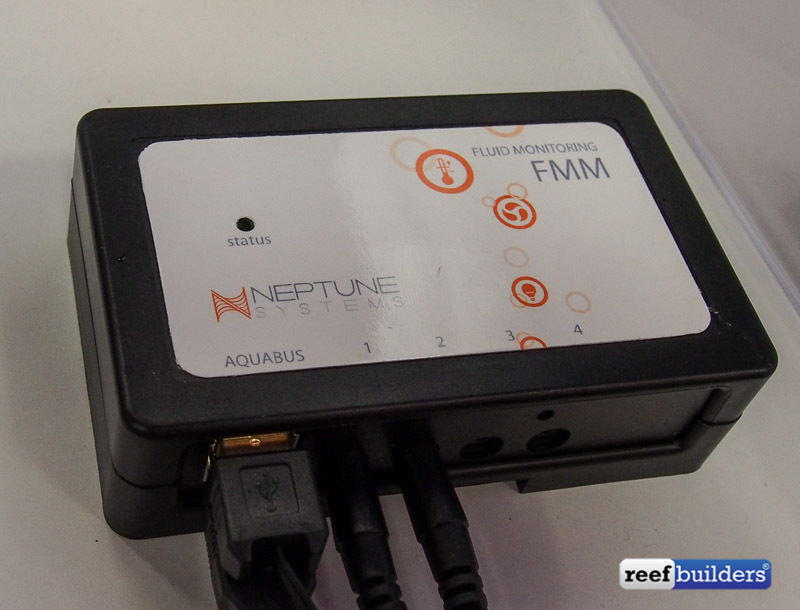 The Fluid Monitoring Module from Neptune Systems does what the name implies and connects to your already established system. It is very flexible in measuring fluid in various states, flow metering, optical water level sensors, lead detection probes or future sensors you might have planned for your aquarium. Optical water level sensors are the most popular way to effectively manage water levels in auxiliary sumps and the like. Up until now there has not been such a comprehensive unit to measure fluids of all types. Whether you want to measure flows of return pumps, closed loops, canister filters, dosing container levels, skimmer cups, auto top off reservoirs or saltwater mixing stations. It will measure most everything except how much your significant spends in general. The fluid monitoring module works great with the just announced COR Pump.